For an Amazon FBA seller, the name of the game is to buy low and sell high and, the Amazon sales rank of any given product is the key point when making decisions on product sourcing. 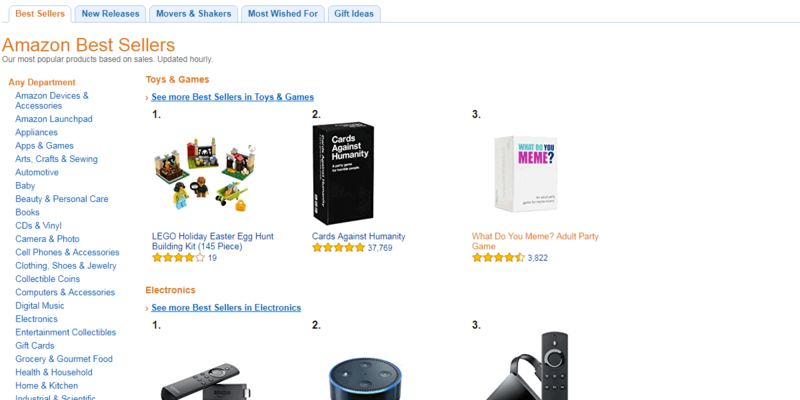 Part one : What’s amazon sales rank? Part Two: How do I find a product’s sales rank? Part Three: How does product sales ranking work? 1. What’s amazon sales rank? Put plainly, the Amazon sales rank or Best seller rank (BSR) helps a seller to determine the sales performance of a certain product within a particular category. Graded on a bell curve, every Amazon product has a numerical sales ranking where lower numbers are more profitable. The goal of any Amazon FBA seller is to source high ranking products and buy them at as low a price as possible to sell to their customer base at as high a price as possible in order to make profit. Although the current sales rank of a product is a good indication of how well it will sell, it’s also important to note the average rank as well – a product’s rank can often be subject to trends and seasons. A product’s current rank is simply a glance at very recent activity and is not necessarily an indication of future sales performance. In addition, it’s important to remember that ranking differs greatly from genre to genre – in a category such as stationery with hundreds of different products, ranking will be dramatically different from a genre with just two or three products. Also remember that a product’s rank can be affected by just one sale if a product suffers from sporadic or very low sales. 2. How do I find a product’s sales rank? There are a number of different ways to find the sales rank for a particular product. The most straightforward way is to visit the product’s page on Amazon. To do this, enter the name of the product or catalog number into Amazon’s search bar (which is the bar at the top of the home page) in order to navigate to the product page. The page will contain a section named ‘Product Details’ which highlights the technical and composition aspects of the product. At the bottom of this section, you’ll find the words ‘Amazon Bestsellers Rank’ followed by a number – that number is that product’s current sales rank. By checking a number of different product pages, you can compile your own database of product ranking and pricing. It’s an essential tool in helping users to find a particular product’s sales rank in order to make an informed decision regarding selling that product. 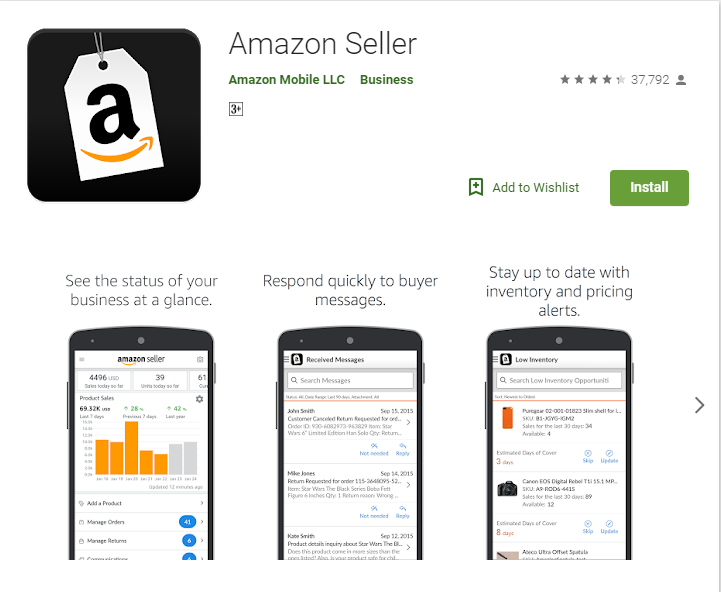 By using the app to find a product’s rank, sellers can then check the current and historical rank to find out how well it has sold and make a reasonable estimate as to how well it may sell in the future. 3. How does product sales ranking work? Amazon’s product sales ranking system is a complicated process and can take some time to fully understand – but, getting to grips with this is essential for an Amazon seller. Every single product sold on Amazon has a rank number showing its comparative selling performance within a particular category – for example, the latest hardback novel by Stephen King will be ranked against other hardback novels so that users can get an idea of how well it is selling in comparison to similar items. The system is complex as, the ranking figure shown on the product page is only the current ranking which can be misleading to inexperienced sellers. In order to fully understand a product’s rank, an Amazon seller would need to examine the product’s ranking history to get the full story. Whenever a product is sold, its ranking will improve, however, this can be vastly different from category to category can depend on a number of different factors. For example, a quick glance may show that a certain toy’s ranking has moved up a huge number of places; in this case, it would be easy to assume that the toy has, therefore, sold a huge number of products but, this is not always the case. If the toy has sold one unit after six months of no sales, this will drastically affect its ranking. 4. 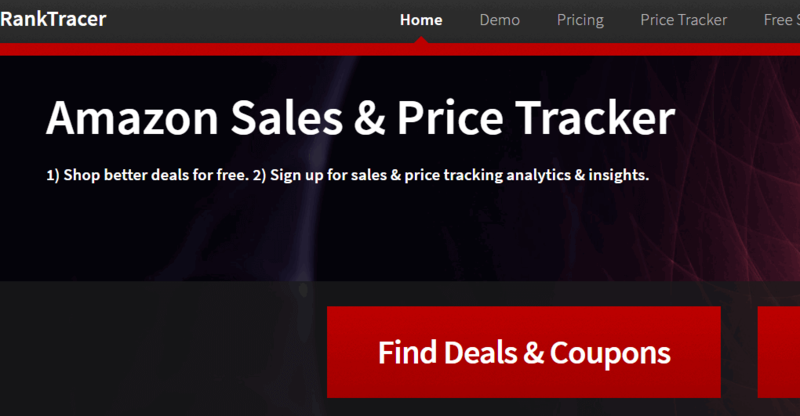 Free amazon sales rank trackers. Although searching by page will, ultimately, allow you to view the product’s rank, this can be time-consuming and dreary. There are a number of online resources which allow Amazon sellers to quickly and easily check Amazon sales ranks without going page to page. The following Amazon Sales Rank trackers are free to use and offer access to sales ranking information for thousands of Amazon products. Thought to be the leading sales rank tracker, CamelCamelCamel is free to use and allows users to look up the current and historical sales ranking of any particular product through its online search engine. 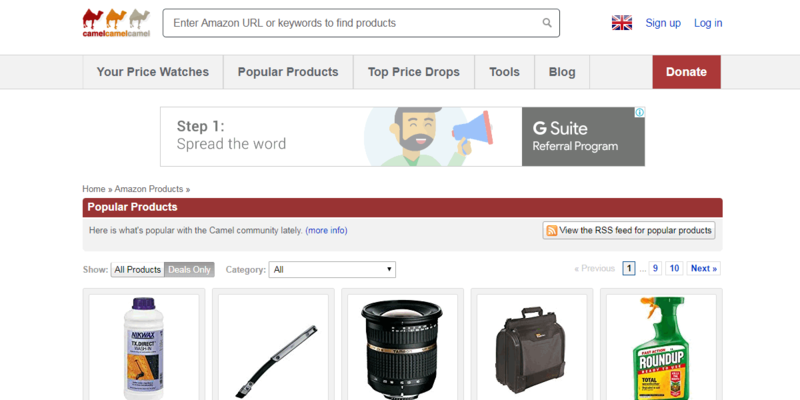 Amazon FBA sellers can also use Camel Camel Camel to watch products and prices and be notified of price drops and other anomalies for particular products. The site also features a ‘popular products’ tab for at-a-glance product ideas and inspiration. Keepa.com is an effective sales rank viewer and tracker and offers a number of different features including an Amazon sales rank calculator, Top and Best seller lists, product viewers and finders and a handy data tab showing average and historical prices and stock levels to allow sellers to make an informed choice when sourcing. Like Camel Camel Camel, Keepa is free to use and can be accessed either online or via downloadable apps. Last but not least, Rank Tracer is, as the name suggests, a resource which offers a sales rank tracker free of charge. Amazon sales ranks are fluid and subject to change, meaning that just checking a product’s current rank is ineffective without also checking the rank’s history. 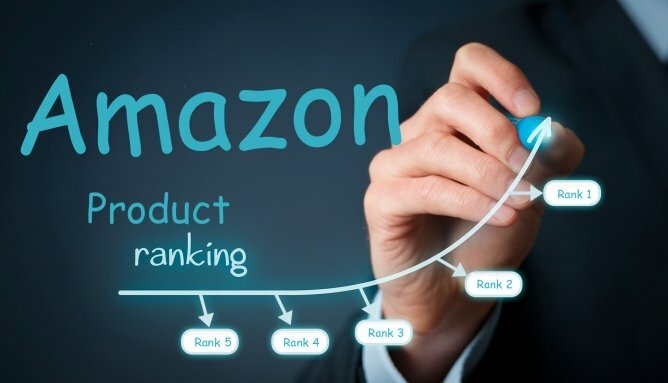 Having said that, it is useful to know a product’s current rank and, Rank Tracer allows Amazon sellers to view live, constantly updated, ranking information – an important tool when you consider that the ranking of some products changes hourly. Rank Tracer is a basic but effective way of knowing where a product is right now and offers a decent representation of a product’s performance. 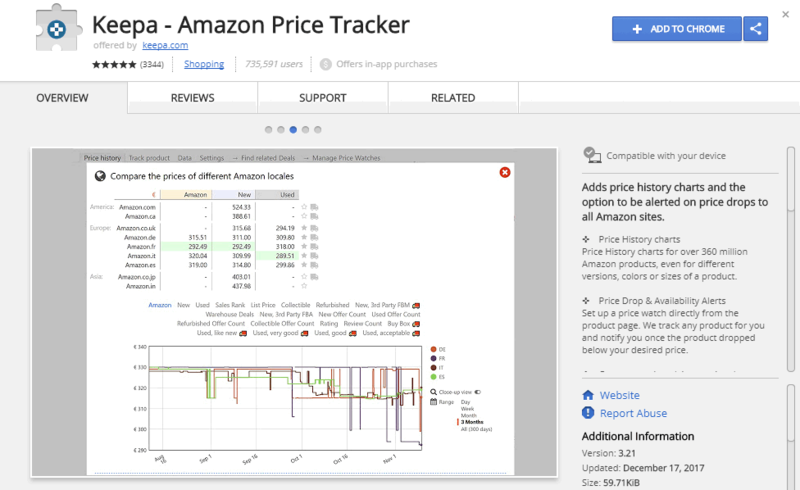 Although there are no guarantees when it comes to a product’s future selling performance, using a rank tracker – and making sure that you look at historical data as well as the current ranking – is an essential part of becoming a successful Amazon FBA seller and helps you to avoid overstocks and wasted product. As well as using these online resources, it takes time and commitment to understand sales and price ranking in order to maximise sales and profit. There are a number of online tutorials which can help you to better understand the world of Amazon selling – Full-time FBA offers one to one coaching on all aspects of Amazon FBA selling to help you make the most of your business.